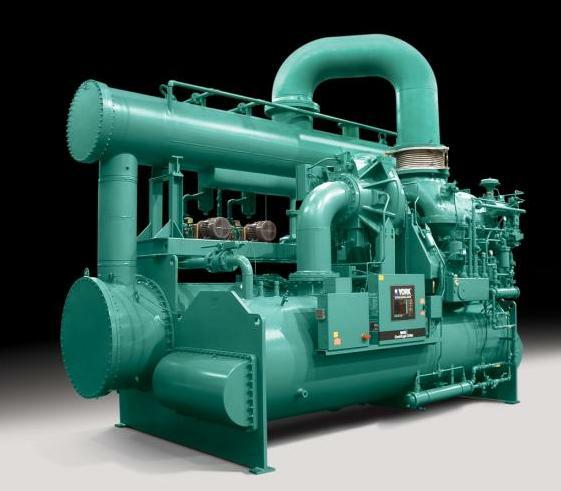 Steam-turbines can be classified as either back pressure or condensing. The more usual condensing units are more efficient than a back pressure configuration. In condensing turbine systems the steam enters and is fully condensed a dedicated steam condenser and heat is rejected via a cooling tower or river water. In contrast, with in the back pressure turbine design, the steam leaving the turbine enters the steam distribution system for use in a process or useful heating. Back pressure chiller systems are less efficient but the steam leaving the turbine can be used for other useful process duties and so the overall system economics can be comparble to condensing turbine designs. Either design can be less costly to operate than electric chillers depending on the costs of steam versus electrical power.